How Do We Measure Elite? With yesterday’s Super Bowl victory, Ravens quarterback Joe Flacco guaranteed that, next year, he’ll be getting muckafuckin’ paid. 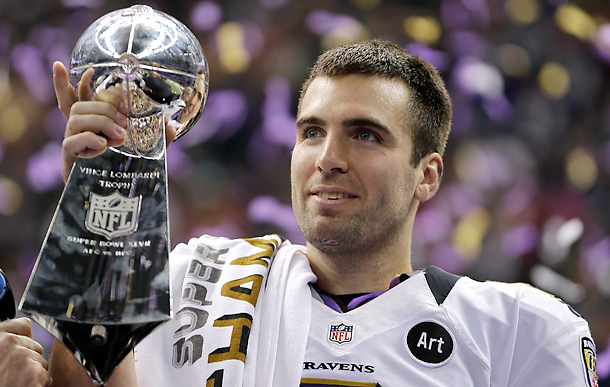 At the beginning of the year, Flacco asserted that he was an “elite” NFL quarterback. During the regular season, Flacco finished in the middle of the pack in every meaningful statistic. That narrative changed with one of the greatest playoffs performances in NFL history. Is Joe Flacco an elite quarterback? This isn’t about Joe Flacco. It’s about how we evaluate players and performances. The more I understand sports statistics, the more I’ve come to hate the “win” as an argument for evaluating individuals and “clutch” as an argument for or against players or teams. I’m a teacher who hates standardized tests. They claim to measure knowledge, intelligence, or comprehension. However, with a sample size of one test, it also measures the amount of sleep the student got the night before or English language skills or knowledge of cultural norms or test anxiety or personal life stability or a million other things. The test isn’t valid because it doesn’t measure what it purports to measure. This is why wins are the worst possible statistic for measuring individual performance. Football is a team game and wins and losses reflect the talents and efforts of the entire team. Using them to evaluate individual performances is invalid, but happens all too often (See Tim Tebow, Manning v. Brady, Sanchez v. Any Non-Sanchez Quarterback). As an example, look at the NFL Divisional Playoff games. Peyton Manning was the goat after his terrible overtime interception against the Ravens. However, it should never have reached that point. When Manning left the field in the fourth quarter, his team had a 95% chance of winning. One blown coverage later, we have overtime. Manning’s reputation as a “playoff choker” continues because his safety blew it (and also that interception). Let’s determine whether a quarterback is any good. Let’s see if someone performs under pressure. However, let’s avoid using hindsight and the actions of other players to tell their story. It’s fun to look at Flacco or Mark Sanchez’s playoff records and compare them to Brees, Manning, Brady, or Rodgers. Sure, Flacco and Sanchez have incredible playoff winning percentages. However, when you look at the statistics, regular season and playoffs, both quarterbacks played at an average or below-average level. Give Brees or ColtsManning, two players who have no clue what it’s like to have a defense, the Ravens, Jets, or Giants’ defense. That team probably wins the Super Bowl every year, right? Wins are a team statistic in the playoffs too. 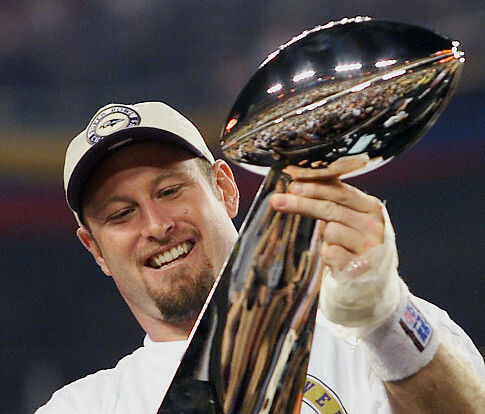 If you disagree, I’ll just replace your Dan Marino with a Trent Dilfer. How many times do we hear the word “clutch” used in football? Clutch kicking, clutch passing, clutch defense, whatever. There is no clutch. Clutch comes from the idea that the last drive is more important than any other. It’s not. A touchdown in the first quarter is worth just as many points as a touchdown in the fourth quarter. Let’s look at an example. Team 1 is a first-half team. They score 20 points in the first half, dominating both sides of the ball. Then, the other team makes halftime adjustments and Team 1 gives up 17 points, but hangs on to win. Team 2 is a second-half team. They go down 17-0 before halftime, but then fire back, racking up 20 unanswered points, including a game-winning field goal as time expires. Think about our perceptions of those teams and their players. One team is “clutch,” one “got lucky.” We wait for one team to win and wait for the other to lose. They are the same team, with the same stats and the same victory. Yet, most people would say that Team 2 was a better team because they scored their points “when it matters.” It always matters! Pressure and clutch exist, but only to the extent that we create them. If there’s more pressure at the end of a game, it’s because we decided to value that drive over all the others. That same pressure should be on a team or player every drive. End-of-the-game pressure rarely exists if that team had followed through on earlier drives. To use a historical example, John F. Kennedy is viewed by many as a “clutch” president because he handled the Cuban Missile Crisis brilliantly and helped keep us out of nuclear war. 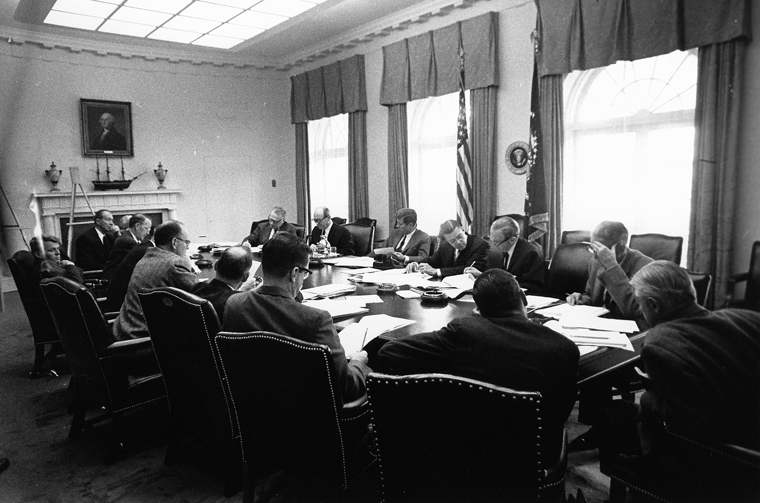 However, his poor foreign policy with Cuba helped cause the Cuban Missile Crisis in the first place. He was only clutch because he wasn’t good enough to avoid the problem. If he was “clutch” at all times, we never would have gone to the brink in the first place. The more I thought, however, the less I saw it as an argument for clutch. It’s less about whether or not they are “clutch” enough to win under pressure and more about whether they are good enough, one drive, to win the game. I might be totally misrepresenting my friend’s idea, but at least the cognitive dissonance is gone. I don’t want to go overboard and say that numbers tell the whole story. They don’t. I believe that leadership is a thing, even if it can’t be quantified. Some people just make those around them better and as of now, there’s no football stat that can track that. I just hope I’ve given you something to think about. So, is Joe Flacco an elite NFL quarterback? Here’s a friend’s answer. For me, a tiny sample size of four games says “yes” and the rest of his career screams “no.” However, if he can put together a full season playing near what he did in this year’s playoffs, I’m sold. We’ll have to find out next year. Just know that I won’t be using his win/loss record to decide. This entry was posted in Sports and tagged Clutch, Cuban Missile Crisis, Elite, fun with statistics!, JFK, Joe Flacco, just got paid today got me a pocket full of change, Mark Sanchez is terrible, Matt Ryan, Peyton Manning, standardized tests, Super Bowl, Wins by Rites of Patches. Bookmark the permalink. Nice post, sir. As my own ramblings show, this is something I’ve been thinking about a lot lately. It’s an interesting question for which there’s never likely to be a great answer. But isn’t it fun to discuss? I thought you copyrighted the more vulgar version?